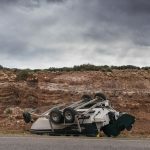 Whether you are taking unwanted materials to a recycling depot or you are planning on caravanning your way around Australia, the chances you will make the same towing mistakes are the same. These mistakes can also get you easily into trouble with the law. Let’s not blow the budget with fines by not making the most common mistakes in the first place. So you’ve found a caravan that you love. The worst thing you can do before buying it is not checking your current towing vehicle can cope with it. It is important you know the caravan’s GVM (total weight) including anything you put inside it. The caravan’s GVM needs to be less that the towing capacity of your towing vehicle. Nobody enjoys reading a user manual. 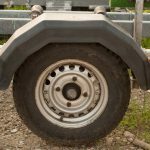 However, when it comes to caravans and trailers, it is essential you acquaint yourself with all the features and service requirements of your caravan or trailer. Reading the manual will help you a lot and probably save you a lot of grief down the road. 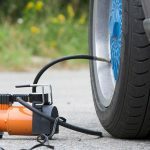 In some cases, a towing vehicle’s braking system will need adjustment to cope with the type of caravan you are towing. Don’t take your brakes for granted. Get professional advice on this one. Towing a caravan is very different to driving a vehicle without one. 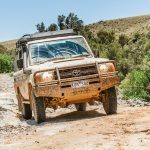 It pays to get a training course, especially if you are going on the road with a larger vehicle. Some sort of training is absolutely necessary and an accredited course is always the best way to go about it. 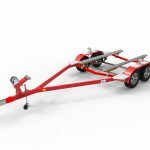 I found that practice with a small trailer is a really big help to getting better at the skills you need when towing a large caravan because the basic principles are the same. When you lose your load, apart from making a mess of your own gear, you make a mess for everyone else. Losing one’s load to the road creates a huge hazard for other drivers. Loads that slide around are very dangerous too. Heavier items should always be placed over the axles. Weight should also be kept to a minimum. 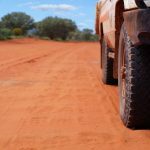 It is exciting to get a caravan and plan a long-distance holiday around Australia. Don’t let yourself get caught up in the excitement, especially when buying the caravan of your dreams. Take your time to understand what you are getting into and spend a little bit of time getting acquainted with towing vehicles and you will have a safe and enjoyable long-distance holiday.